The Road Network File is a digital representation of Canada�s national road network, containing information such as street names, type, direction and address ranges. This unrestricted-use file is available as a free download. User applications of this file may include mapping, geo-coding, geographic searching, area delineation, and database maintenance as a source for street names and locations. Since statistical activities do not require absolute positional accuracy, relative positional accuracy takes precedence in the Road Network File. As a result, this file is not suitable for engineering applications, emergency dispatching services, surveying or legal applications. A reference guide is included. February 2008 update includes Landuse (land use) and zoning. March 2008 update includes Storm Sewer Network. Land Use layers are for existing land use. 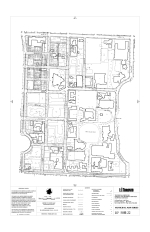 February July 2009 update includes Landuse (land use) and zoning. March 2008 update includes Storm Sewer Network. Land Use layers are for existing land use. April 2009 is also available on DVD. See further information on this page. March 4, 2010 update for Storm Sewers. February 2008 update includes Landuse (land use) and zoning. March 2008 update includes Storm Sewer Network. Maps included on this web site are of cities on all continents dating from 1200 through 1930's. Each map has bibliographic data and can be viewed in low or high-resolution as well as an alternate for Mr. Sid high-magnification A speciality of this site is the city of Jerusalem. Creator: City of London, Ont. Digital Mapping CD DWG/Shape files Double & single line street map of city of London, [parcel/property map shapeformat, orthoimagery city of London 2005-2010 1:2000 topographic mapping. Map showing the colonization roads built and maintained under the supervision of the commissioner of Crown Lands from 1857 to 1910 as compared with the roads of the present time in and surrounding the Algonquin Provincial Park. The CD-ROM 7.0 provides information on road network of Spain, it is the 37 th ed.of the official road map and it is interactive. 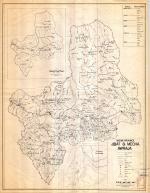 It contains more than 80 different maps of Spain at different scales. It also has 4 maps of France, Portugal, Morocco and Europe. ontaining full-colour, detailed maps of more than 100 000 streets, the Canada Street Locator CD-ROM is an excellent resource for people who travel in Canada. Providing street level detail for every community in Canada with a population of 30 000 or more, the CD also indicates points of interest (with address and telephone information) and contains a full database of schools, hotels, shopping centres and more. The CD enables the user to print in colour or black and white, cut and paste maps into documents, e-mail and invitations, draw routes and measure distances, zoom in and out, and even create your own geographical database of friends, businesses and places to visit. (extracted from the original files and repackages in JPEG format) Please contact gis.maps@utoronto.ca for the original files from DMTI web page: " Available for the first time, an integrated and innovative mapping solution for the spatial information market called Satellite StreetView. This product solution combines the highest quality digital mapping data with the highest resolution satellite imagery commercially available on the market. Together, these components form a spatial information solution for commercial and government users seeking to improve their business or operational intelligence capabilities." The CD-ROM contains 2 interactive versions. 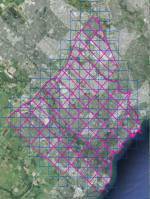 Shows vegetation; land in sections; roads; water; dimensions in chains of some lands; some section lines and numbers. "Explanation of colours: Woods: Green; Scrub, or Prairie and Woods: Dotted green. Water: Blue. Marches: Yellow with small strokes of black. Hills or Slopes: Etching or Grey Shade/ Brulé (Burnt Woods) Brown. Settler's Improvements: Pink." Insets: Location map -- map showing districts. Boundaries include: districts (Amphe,Khat); provinces (Changwats); and regions. - Road types include: Collector, ramps, creeks and tributaries, expressways, geostatistical lines, hydro lines (power transmission lines), laneways, local roads, major arterial, minor arterial, railways, shoreline, rivers, trails, and walkways Please note that a City of Toronto license agreement must be signed for access. DVD and DMGC local intranet. Shows Electric railways and Steam Railways, boundaries of townships and counties, and 1911 census population numbers. 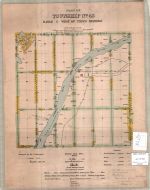 Part of a series of maps : [Maps to accompany the report of the Public Roads and Highways Commission Province of Ontario] [map].